We run mixed age classes for ages 3-5 and 5-11. Children greatly benefit from mixed age grouping as the older children can help the younger ones with certain tasks and teach them new skills. In this helping relationship, the children work together to help the younger ones learn new skills. The older child has the opportunity to develop patience, as well as the verbal skills necessary to communicate the steps to the younger child. It is a great way of developing children's confidence and self-esteem whilst playing a role as mentor. 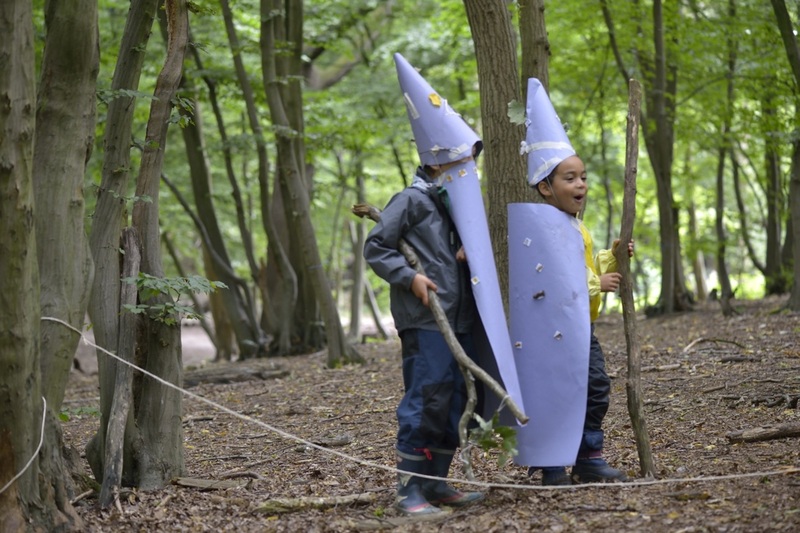 We encourage regular visits to the same place in the woodland to allow children to experience seasonal changes within a natural environment and develop relationships within a Forest School class. In order for your child to feel the real benefits of Forest School approach, a regular attendance is highly recommended. During our two hour sessions, we provide a healthy snack and a drink. However, during holiday camp sessions, children should bring a packed lunch and two healthy snacks. Children should be appropriately dressed and always wear waterproofs and wellies or sturdy shoes, regardless of the weather. We strongly believe in the saying "there is no such thing as bad weather, only unsuitable clothing." ​Playing in a woodland environment has great benefits but also unavoidable risks. We have a set of safety rules that children follow and we use flags to establish space boundaries so that children know how far they can wander. Our adult to child ratio is 1:6 for 5-11 yrs old and 1:4 for 3-4 yrs old children. If you would like to arrange a taster session or if you wish to sign up for a Fun in the Forest class, please contact Ivana Grant. We normally charge £17 for a taster session.